When you have a clogged drain, it can make everything you do take longer and seem like more of a hassle. Whether it is in your kitchen, bathroom or elsewhere, a clogged drain is a big annoyance. Additionally, small drain problems can quickly turn into big plumbing disasters if they are not resolved. Don’t keep plunging the drain that doesn’t seem to unclog or pour toxic chemicals down your pipes. There is a better solution. Luckily, you have Top Dog Plumbing on your side. We are always on-time and offer fast affordable drain cleaning service. The Top Dog Plumbing team has all of the latest technology and devices available to us to eliminate nearly any stoppage imaginable. Electric Cable or Snaking – Cable equipment will be used to clear the blockage. At this time, we can use video equipment to inspect the lines to determine what caused the clog in the first place. Using the cable or snake is our preferred method of cleaning, and it resolves many problems. Water Jet Line Cleaning – Water jet line cleaning is very similar to pressure washing the inside of your pipes. Our technician uses water jet cleaning to remove years of built up grease and sludge. This is often the next step, if we cannot fix the problem with snaking. Spot or Sectional Repairs – In some cases, we cannot clear the pipe. If this is the case, we can sometimes spot repair or replace a section of the pipe. Using video equipment, we can diagnose the problem and find out if this is a potential resolution. Replacement – While this is usually not anyone’s desired outcomes, in some cases replacing the pipes are necessary. You can rest assured that this is the last case scenario for our technicians. It does not matter which of these solutions we utilize, our technicians will take care to make sure your home, yard or place of business is left in good repair after we complete the job. Our goal is your 100% satisfaction each and every time we work with you. 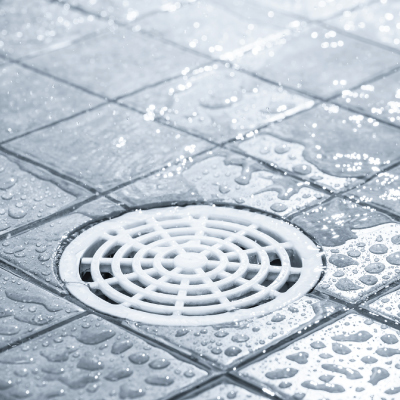 Drain cleaning is a necessity for many home and business owners. If you need assistance with this task, call us at Top Dog Plumbing today. We are Boise’s #1 choice for all your plumbing needs.